Nutrition is one of those things we are all aware of and we all vaguely pay attention to. It is probably the single most important part of our day, yet we put very little emphasis on it. Part of the reason it is so difficult is no one seems to agree on what “good” nutrition is. You can find conflicting views on almost everything. It is sad to me that there is seemingly so much that is not understood about how food works in our bodies. So how are we to know what we should and shouldn’t eat? First and foremost, you need a basic understanding of how food works in your body. I have tried to compile some information to give you that basic foundation. Included in that is understanding the health risks involved in eating processed and industrialized food products. On a very basic level, I believe we need to return to a more primal diet that the human body was designed for. 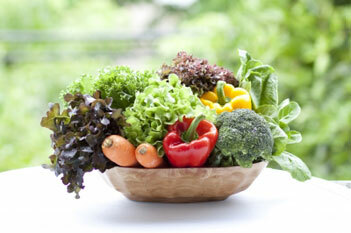 Eating whole foods that have not been altered and are grown the way nature intended is a good start. There are so many people diagnosed with this syndrome, or that disorder, or any number of diseases with no known cause or cure. Our doctors are quick to test for signs of ailments that they can treat with a magic pill. But, how often do they test for vitamin and mineral deficiencies? How often do they test for amino acid deficiencies? How often do they even ask you what you eat? Sure, they tell you to eat right and exercise. But, do any of them really know what that entails? From one doctor to another you will get very differing views. Even nutritionists don’t always agree. I have learned the most important thing is quality whole foods. Whole Foods doesn’t mean strictly raw foods. It means eating food that is provided in its natural state. Stop eating processed foods. Stop eating chemical laden and altered food. Your body, its cells, and all of its functions depend on what you put in your mouth. Your highly processed and sweetened diet may taste good. But how do you feel after eating it? How about the next day? How about the next week? Ever wonder why you’re so tired all the time? Ever wished you could get rid of wrinkles or improve your memory? How many wrinkle creams and supplements have you wasted money on that didn’t work? We’re all searching for the fountain of youth, and it’s right in front of us. Did you ever consider the food that you are eating? After all, that is what our bodies use to make new cells and to implement all of our bodily functions. Perhaps you believe you are eating “healthy.” But have you considered the quality of the food you buy, where it comes from, and how it is manufactured?